The magical rainforest of Caldera has forever been divided into the animals who walk by night and those who walk by day. But a few young animals born under the eclipse are able to cross the Veil between night and day. Now they must band together and uncover the extent of their magical powers before a reawakened evil destroys their rainforest home. 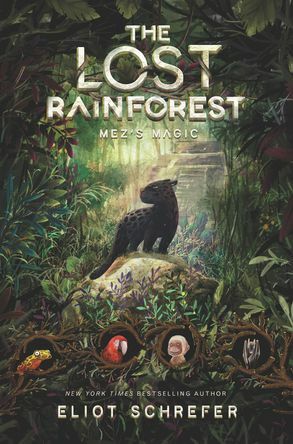 Eliot Schrefer shares how a trip to the Amazon rainforest inspired his new book series, The Lost Rainforest!